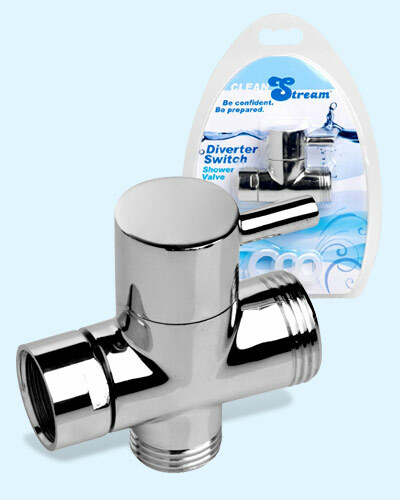 The CleanStream Diverter Switch allows you to control the flow of water to your cleansing hose and shower head with a simple flip of a switch. Installs easily, just unscrew your shower head, screw the Diverter Switch on, then attach the shower head to the switch. Now you have an outlet for both your shower head and your hose. Use the lever at the top to easily and quickly switch between the two. Attaching your shower enema system is easy, just screw it onto the open end. You can leave your cleansing hose on all the time, or unscrew and store away for discretion. All parts are made of durable materials, and are compatible with most standard shower nozzles. Comes with 3 washers for a secure fit.